"The doctor of the future will give No Medicine, but will interest his patients in the care of the Human Frame, in Diet, and in the Cause and Prevention of Disease." What is Bio Identical Progesterone? "You have to stop in order to change direction." "But most impressive to me was experiencing my first easy menstrual period in forty years I used Bio Identical Progesterone instead of drugs for PMS and heavy cramps. It worked!" I feel good, I knew that I would now. I feel nice, like sugar and spice. . . .well actually, I have had no sugar, and I have limited my spice intake due to mold sensitivity. But I do feel good! I attended your first lecture and then appointment with complaints of bloating, constipation, skin rash, inability to concentrate, 2 week (yes, it's true) pre-menstrual syndrome and painful periods,fatigue, depression, and mood swings. I was screened for allergies, of which many came up, supplemented, and given my diet, in addition to Bio Identical Progesterone. Well, within 4 weeks my symptom score went from 68 to 6! My health and vitality that eluded me for so long is back! My periods are completely painless (which I've never experienced) and no PMS. I lost 4 pounds the first week with no effort and am now up to 8 pounds gone. I look more young and beautiful than when I was young and beautiful! And, I have so much energy for my days that I am actively pursuing many of the interests that I was unable to accomplish through being emotionally and physically drained. I eat copiously the foods that are good for my body and know that each day is cleansing my body and strengthening my vitality. I no longer have an interest in life depleting foods now that I am experiencing optimum life through finding my balance. Though it has taken much strength and willpower, something my new found health readily supplies, I have chosen to be the master of my body and frequently say "I choose not to eat the foods that will deplete my "life force". This has empowered me greatly in my new approach to sustaining an existence worth living for! I'm so proud of myself! I've made the necessary changes in my life that have brought me deeper understanding and real, lasting happiness. And I'm off to a new adventure! Before I go I want to express my extreme gratefulness and gratitude to you, Dr. Z, for without you, none of these essential changes could have taken place for me. The generous amount of information you extend at your lectures is so helpful and imperative to coming to grips with the nature of Candida overgrowth and how it affects our lives. You are tops and the work you're doing is so very important and I am full of gratitude to you for helping me find the true me! What is Bio-Identical Progesterone Cream? Read this fascinating story of the discoveries of Dr. John R. Lee, M.D. Who was Dr. John R. Lee, MD? About 10 years before menopause, women have seemingly normal cycles, however ovulation has not occurred. Known as anovulatory cycles, the body does not produce progestrerone in the absence of ovulation. Progesterone is a steroid hormone made by the corpus luteum of the ovary during ovulation. In women with a normal cycle, the body produces approximately 2—3- mg. of progesterone daily during the luteal phase (ovulation). Progesterone is considered the “master hormone” and has the ability to convert into the other hormones as needed to restore balance. Why do I need Bio Identical Progesterone Cream? Your body will continue to produce estrogen throughout your lifetime, however progesterone production drops dramatically in perimenopause and eventually stops altogether. Supplementation replenishes healthy progesterone levels and aids in the proper function of other vital hormones. Progesterone affects brain function, fat metabolism, thyroid function, water balance, bone health, energy production, immune function, and much more. How do I know if I need Bio Identical Progesterone Cream? When should I begin using Bio Identical Progesterone Cream? Many women use progesterone cream for PMS. Perhaps the most important role of progesterone is to balance the effects of “estrogen dominance” which creates a strong risk for breast and reproductive cancers. It is very beneficial to continue using progesterone cream during perimenopause, menopause and beyond. Can I use Bio Identical Progesterone Cream with medications? If you are pregnant or are using synthetic hormone replacement therapy or contraceptives, talk with your healthcare professional before using progesterone cream. There are not other contraindications with medications. What is Bio Identical Progesterone Cream made from? USP progesterone comes from diosgenin. A steroid sapogenin, diosgenin is extracted from the tubers of the Mexican Wild Yam. The term bio-identical refers to progesterone that undergoes a special laboratory process, making it identical in the chemical structure to the progesterone produced by the human body. What is Progestin and how is it different from Bio Identical Progesterone? Progestin is a synthetically produced hormone. It differs in structure from the progesterone produced by the human body, and like synthetic estrogen, is laden with side effects and health risks. Synthetic hormones shut down or reduce the normal function and production of natural hormones, creating a further imbalance. Bio Identical Progesterone refers to the hormone produced in the body, or from a plant source such as Mexican Wild Yam, which, after a laboratory process, renders progesterone chemically identical to the hormone naturally produced by the body. Is Bio Identical Progesterone Cream helpful for Osteoporosis? Dr. John Lee conducted many clinical studies on the use of progesterone for bone health. He treated 68 women with Osteoporosis with each experiencing an increase in bone density ranging from 5 to 40% after 6 to 48 months of progesterone cream use. Dr. Lee found that natural progesterone successfully addresses Osteoporosis even decades after menopause. Is Bio Identical Progesterone Cream cream safe to use? Natural progesterone has been used in infertility clinics since the 1940’s. 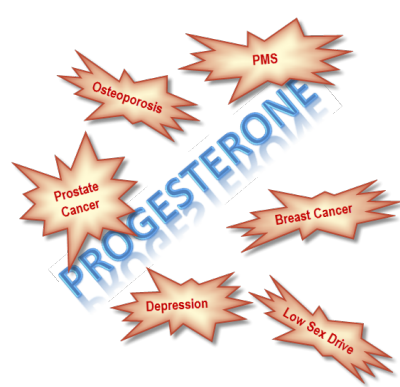 There are not side effects or health risks associated with USP progesterone. When you see “USP progesterone” on the label, it means the product has met the quality assurance standards and specifications outlined by the United States Pharmacopeia. This organization establishes and maintains quality standards for medicines, drug substances, and dietary supplements. Why should I choose the Organic Choice Bio Identical Progesterone Cream? Chemical and fragrance free with the added benefits of certified organic herbs, the Organic Choice Progesterone Creams are formulated to meet the strict criteria outlined in Dr. Lee’s best-selling book, “What Your Doctor May Not Tell You About Menopause” and contain approximately 500 mg. of USP progesterone per ounce. What some of Dr. Z's clients say . Thank you again for your interest and support. © Copyright Dr. Peter Zeischegg MS, DC, DACNB, 2013. All Rights Reserved. The statements in this web site have not been evaluated by the Food and Drug Administration. These products are not intended to diagnose, treat, cure or prevent any disease.